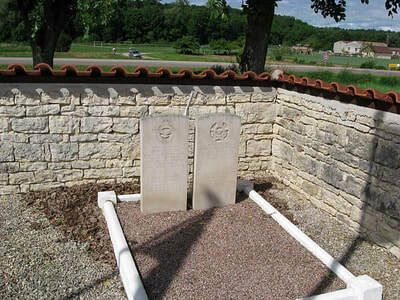 Loches-sur-Ource is a village 42 kilometres south-east of Troyes and 25 kilometres south-west of Bar-sur-Aube, a town on the Paris-Troyes-Chaumont road. 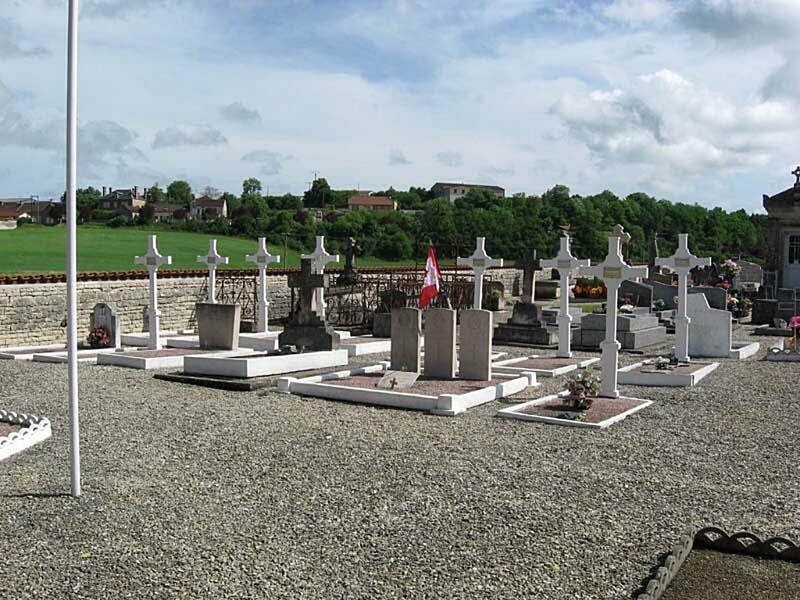 The Communal Cemetery is on the south-eastern side of the village on the road to Essoyes. Incident: Aircraft crashed at Loches-sur-Ource in the Department of the Aube. There were no survivors. Sgt. William Walker BEATTIE, Royal Air Force Volunteer Reserve, aged 20. Son of William Storey and Elizabeth Jane Beattie of Hylton, Co. Durham. Flight Sgt. 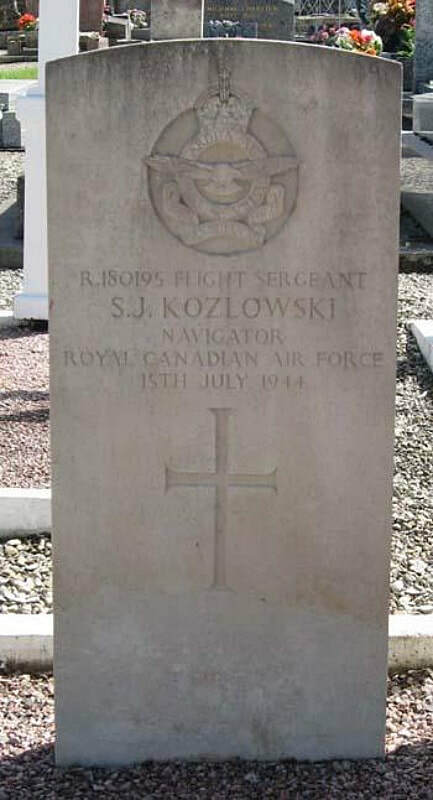 Stanley John KOZLOWSKI, Royal Canadian Air Force. 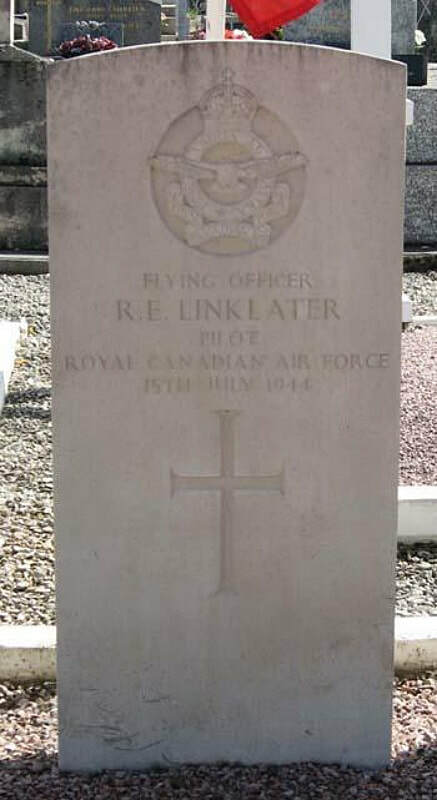 Flying Officer Raymond Edwin LINKLATER, Royal Canadian Air Force. Flying Officer Donald McKenzie MACINTOSH, Royal Canadian Air Force. Flight Sgt. William John McCOLLUM, Royal Canadian Air Force, aged 21. 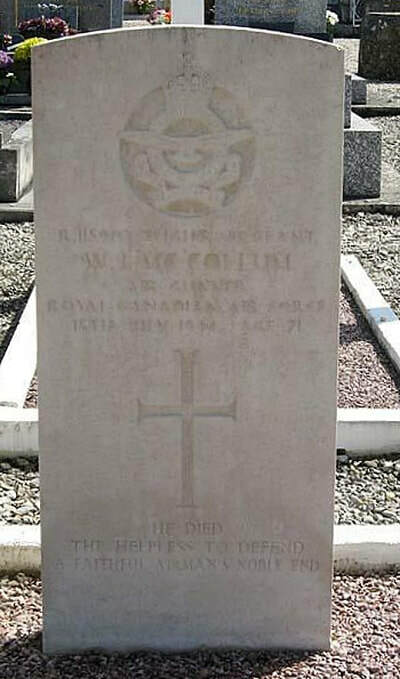 Son of John and Elsie McCollum of Toronto, Ontario, Canada. Sgt. John Wellington Gordon PRINGLE, Royal Air Force Volunteer Reserve, aged 27. Son of Russell and Alice Maud Pringle; husband of Barbara Pringle of Hightown, Lancashire. Flight Sgt. 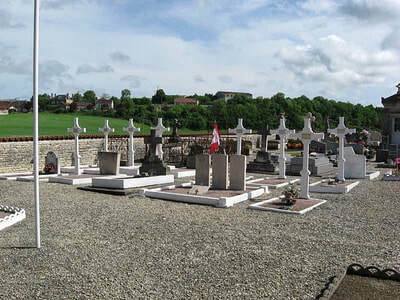 George Robert SIMS, Royal Canadian Air Force.